Best free top data recovery tools (software) to recover deleted photos, images, songs or any other data in your android mobile phone to get back all deleted content including chats etc. 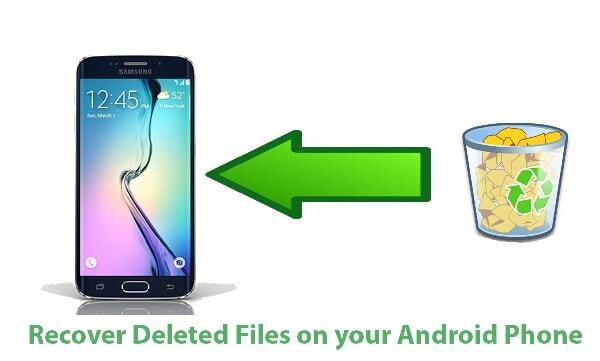 See the list of the tools that user can use to recover deleted files of android. Recuva the most powerful tool created by the software developers Piriform who are responsible for the proper CCleaner PC cleaning tool or software. It also provides you attractive interface with high quality just as other products does provide. Recuva has an inbuilt wizard that helps you in following the steps of recovery whenever you wishes to recover the data. You can even deep scan the data to increase the possibility of recovering data. All data such as pictures, audio, documents, videos and emails from any storage device. Price: Free version and a Paid version for $24.95 (advanced file recovery, virtual hard drive support, automatic updates, premium support). Free Undelete is another easiest recovery tool similar to Wise data Recovery. It doesn’t provides you any latest options to customize what kind of data you are looking for. What yu need to do is scan a drive and see the following results displayed. When the scan is completed, you will see all the files that can be recovered and even show whole deleted folders. With a single click of mouse, you can recver data from folders and can recover images,music,documents,videos,emails and even too compressed files. An amazing tool whose free version is limited to 1 GB of data recovery.After that you have to update to a paid version. This tool is capable of recovering data from formatted,damaged and even deleted parts with amazing results. It has a feature that it recovers 5 times more files tahn the other tools described and divides all the files according to their extensions provided, through which it is easy to find the required file. It’s a grace mark for people who really need some sort of deep scan . It supports FAT12, FAT16, FAT32, VFAT, NTFS and NTFS5 file systems. UndeleteMyFiles Pro software provides you many recovery features having some handy side feature included in it. you can even search for media files or regular files. But if you are not satisfied with this upto , you can even add filters to look for a specific file.Assigning hidden or read-only to specific file name. size or attribute etc. It also provides to use “Files Wiper” tool to permanently delete a file or create a “Disk Image” to make sure that no any file is overwritten by other data. This tool is quick to proceed and even scans deeply to recover all the files. Another recovery tool used for recovering data from Android Device. Its complexity and recovery technique is almost same but where they lack difference is through supported formats, devices and price. This tool provides less file types to recover including SMS, Contacts,Documents, Videos, Audio and Pictures. It’ a good choice as it is a bit cheaper and also not to recover Im History or Call Logs. Price: Free version with limited features and a Pro version for $39.95 Android and $30 for iOS version. This one is the latest toolwith very complex use. It doesn’t have much of attractive interface or millions of features. This tool will le you scan a drive deeply and select which sectors to scan. A full deep scan of a 40 GB data drive will take more than 2 hours to complete. Glay Undelete is a simple tool with limited features in it.But it provides you some good filtering options which helps in easy finding of required files. It also have the option ot scan a drive and it must be a quick drive. All th recovered data is categorized by thier extensions. You can strain your search accordig to size, time, state of recovery and name of file. Glary Undelete supports Supports FAT, NTFS, NTFS + EFS file systems. It also lets recovery of compressed or encrypted files. Pandora Recovery is a feature rich in tons of customization options and deep scanning capability. It doesn’t ahve an attractive interface same as Recuva, but is more rich in handy features. It lets you recover FAT32 or NTFS file system. It also provides you a wizard that guides you through the process and how to scan. You can scan a type of file, the whole drive or deep scan to look after all the files with most of the files recovered.You can even connect other removable storage devices to scan and also apply scanning methods to them.